VANCOUVER — It just keeps getting better for Faith Grisham. 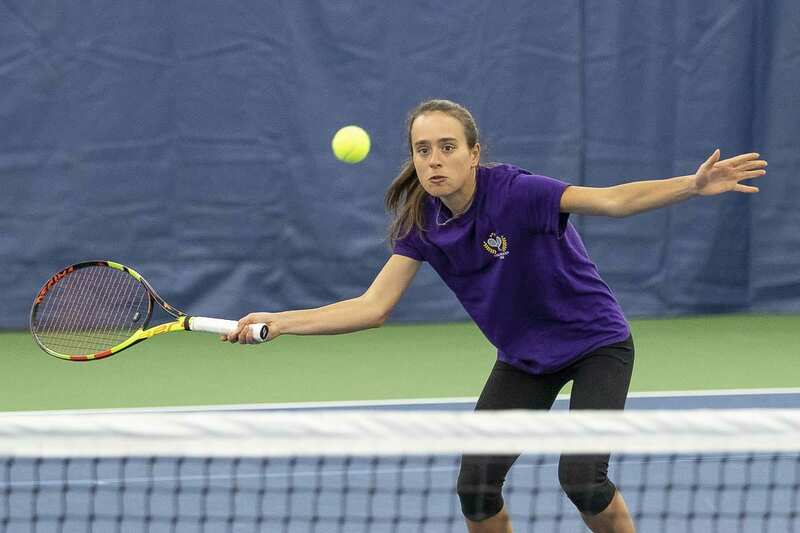 Every year, she has improved her placing at the state tennis tournament, representing the Columbia River Chieftains. Now a senior, she knows she has an opportunity to go out on top. It’s there, that chance. Grisham wants it, too. She just is not consumed by a state title. And that just might be the key to her success. Usually, her outcomes are positive. A year ago, she reached the state semifinals only to lose to the eventual four-time state champion. Grisham had an early lead in that match, too. That sounds like Faith Grisham right there. Even in defeat, she can find the positive. She can enjoy the journey. She is known to always smile, even in the middle of matches. 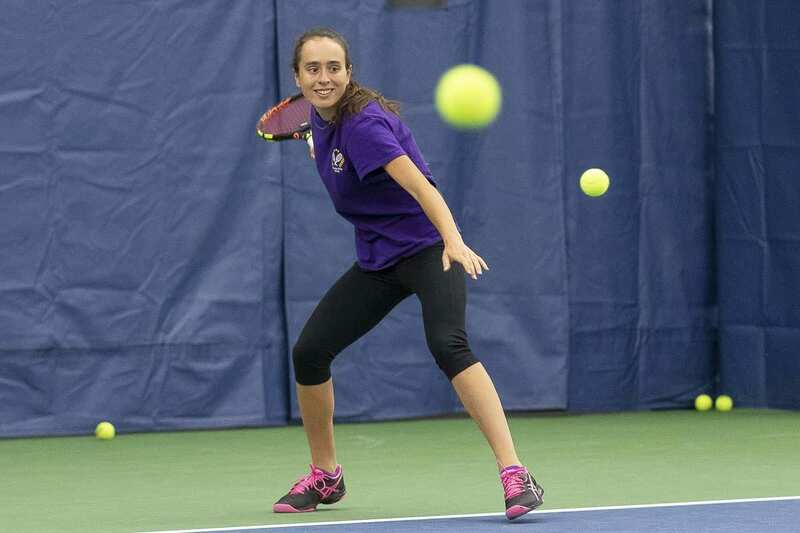 For the most part, she said, those in high school tennis have the right approach to the game. In the USTA junior tournaments, though, Grisham has witnessed so many of her peers display negative emotions. Grisham picked up to the sport when she was 11. She has been at it ever since. She also enjoys being part of the high school team. 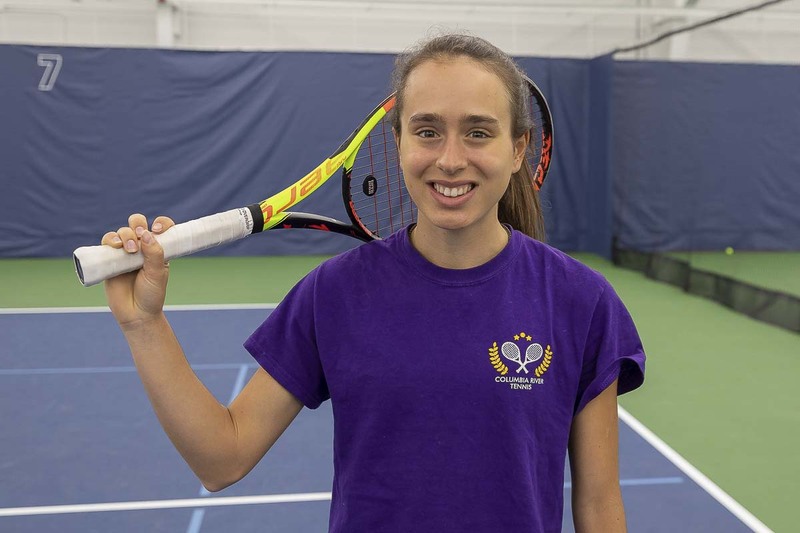 “It’s something bigger than yourself,” she said, adding that she likes to be a “light” in the community and hopes to encourage young athletes to play tennis. Her playing days will continue beyond high school. She has signed with NCAA Division II program Biola University in southern California. “It will be good to be on the sunny, outdoor courts down there,” she said. As far as this last season at Columbia River, Grisham will be trying keep the trend going, of doing better every year. Grisham reached the WIAA Class 3A state tournament as a freshman, when Columbia River was a 3A program. She lost two three-set matches, but she got the feel of state tennis. As a sophomore, she made it to the 2A tournament, reached the quarterfinals, then won her final two matches to place fourth. Last season, two wins at state advanced her to the semifinals. She ended up winning the third-place match. In the semifinals, she had a 3-2 lead in the first set against Dayna Wallis of North Kitsap. The lead did not last, but with Wallis graduated and playing in college now, the field is wide open this spring. “This year, hopefully, is my year,” Grisham said. A state title would feel good, she said, but it is not what will define her.